A female executive of South Korean automaker Hyundai Motor has resigned after being accused of pressuring female subordinates to pour drinks for, and dance with, senior male members of staff, the Yonhap news agency said on Tuesday. Yonhap, citing Hyundai Motor, said a female employee had made the accusation while preparing to leave the company, saying the woman executive had pressured her female subordinates to attend a drinking party with senior men and pour drinks. In a statement, Hyundai Motor said media reports on the issue did not reflect its views and policies. 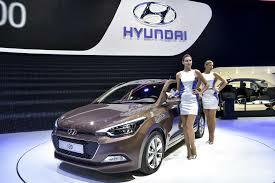 Neither Hyundai Motor nor the news agency identified the executive. Hyundai Motor had three female executives among its total of 298 executives by the end of 2017, regulatory filings show.